Yesterday I talked a lot about Bethesda’s high fantasy RPG series of games, The Elder Scrolls. Today I want to talk about their other major series, which they picked up the license for from Interplay back in 2004 – Fallout. 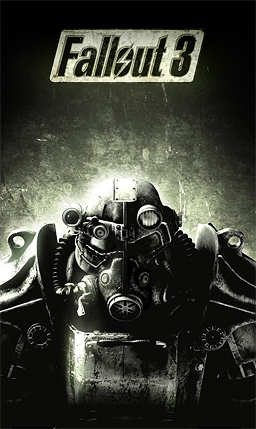 Bethesda owns the rights to the series, but they actually haven’t developed the two games that they’ve published since buying the rights; they developed Fallout 3, but Fallout: New Vegas was developed by Obsidian Entertainment, a studio made up from developers from Black Isle Studios, the studio that created the franchise. My big point from talking about Elder Scrolls was that I think the time is right for Bethesda to make a move toward some kind of a multiplayer setting in a traditional entry in the franchise. I really think it would work with the Elder Scrolls, but when it comes to Fallout games, I think that the traditional, solitary character wandering around the Wasteland works best with the world that Fallout is set in. The Elder Scrolls games take place in a world that is vibrant and alive, full of people living their lives. On the contrary, Fallout games are set in a world that has all but given up on civilization – friendly settlements are few and far between, most survivors will shoot on sight, and the world is a burned out shell of what it used to be. To that effect, I think playing through the game as a solitary wanderer works best within that frame. Instead, I think that the most important aspect that Bethesda needs to look at for Fallout 4 is the actual setting. There was a Kotaku report at the end of last year that said that Fallout 4 would be set in the greater Boston area, but there hasn’t been any official word confirming that yet. The further we get from that report, the more likely it is that the setting might have changed. Since we didn’t get any mention of the game at E3 this year, I really wouldn’t expect to hear a ton of concrete info until next year’s show. Which means we have a long time to speculate and postulate about where we could be exploring next. If the Kotaku report is accurate and we are going to be in the Boston area, then I think that’s not actually a bad decision. 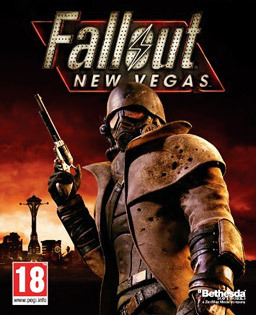 It’s a different look from either of the previous games – Fallout 3 had the Capital Wasteland, which featured a mixture of urban and rural environments, and Fallout: New Vegas had the Mojave Wasteland, a massive expanse of desert, littered with small settlements of survivors and raiders trying to make their way into the big city of New Vegas. A game set in Massachusetts, you would get a good mix of both city environments with Boston, and at the same time you have the potential for coastal environments, as well as the great forests of the Northeast, or what remains of them. Not only is there a variety of areas to explore, but it’s also an area that hasn’t been explored in the franchise; not only an area that’s filled with history that is ripe for the Fallout treatment. Another area that I’m looking forward to seeing get the next-gen upgrade is the visuals. After going back to play Oblivion the last week or so, it really struck me just how much better the new Skyrim engine looks, and of course both Fallout games use the same engine as Oblivion. Anyone that played those games is well aware of the graphical issues, physical glitches, and of course the dated appearance. New Vegas in particular was plagued with extraordinarily long load times. Now I know no game is truly perfect, but moving up even to the Skyrim engine would do so much for the series. Since we’re talking at this point about an Xbox One/PS4 game, I would expect a bigger jump, both graphically, and in-game mechanics. One thing that I don’t expect to change in-game is the V.A.T.S. system. The V.A.T.S. mechanic gives the game a little bit more of an old-school RPG feel, taking the combat back into a semi-turnbased system. Bethesda has the potential to really dominate the RPG world in the next couple years, after Destiny and Dragon Age Inquisition run their course; if they wanted to, they could potentially release a new Fallout and Elder Scrolls game within a couple years of each other. With both series’ high degree of respect, it’s not a huge reach to think they would both be sure fire hits. This entry was posted in RPG Week 2014 and tagged Bethesda, Fallout, Fallout 3, Fallout: New Vegas, RPGs, Video Games by Dan Fasulo. Bookmark the permalink.